Are you ready for the new respirable crystalline silica standard by OSHA? A new rule from OSHA taking effect in September may require individuals who work in construction, general industry and maritime, and the hydraulic fracturing industries to have chest x-ray reads by a NIOSH certified B-Reader. OSHA’s final rule to protect workers from exposure to respirable crystalline silica requires engineering controls to keep workers from breathing silica dust. The rule goes into effect on September 23, 2017. This affects 2 million construction workers nationwide. The final rule is to curb lung cancer (or catch it during early stages), silicosis, chronic obstructive pulmonary disease and kidney disease in America’s workers by limiting their exposure to respirable crystalline silica. The rule is comprised of two standards, one for construction and one for general industry and maritime. 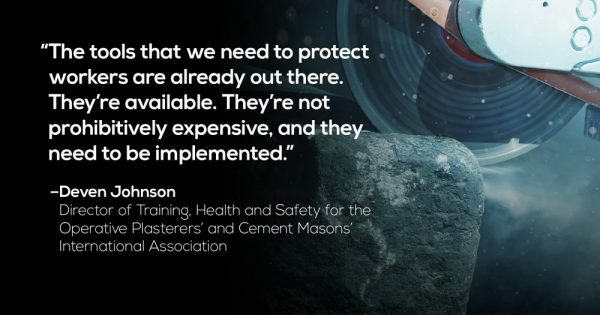 In 1974, the National Institute for Occupational Safety and Health (NIOSH) recommended that employees should not be exposed to respirable crystalline silica levels above 50 µg/m3 without any kind of protection. Clients in the following sectors may require their employees to get a chest X-Ray read by a NIOSH certified B-reader to check for exposure. Furthermore a B reading should be made part of a part of full medical exam for people who work in these industries.